December 13th: Meeting today, former Waterford Crystal workers voted unanimously to endorse the pension settlement negotiated by their trade union Unite. Today’s decision marks the final step in a five-year battle waged by the union to secure pension justice following the 2009 closure of the factory and the insolvency of the workers’ pension fund, after which their pension entitlements had been slashed to as low as 18 per cent. Under the terms of the settlement negotiated by Unite, the workers will now receive an average of 82 per cent of their entitlements, including the amounts previously distributed by the schemes, as well as a lump sum payment of €1,200 per year of pensionable service. The families of deceased workers will also benefit from the terms of the settlement. The settlement follows last year’s landmark ruling by the European Court of Justice, which found that the Irish State had failed to protect the workers’ pension entitlements. 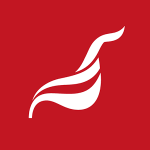 “The settlement negotiated by Unite and unanimously endorsed by members today is not only a victory for workers – it is also a victory for the trade union movement. Once again, we have shown what can be achieved by strong, collective and united action. No individual worker could have taken this case through the Irish and European courts, achieving a landmark legal victory which forced the State to negotiate a settlement with the workers. Unite would also like to take this opportunity to thank ICTU General Secretary David Begg for his assistance, and SIPTU who provided support for our case in the European Court of Justice. “Today is a day of celebration for the workers and for the city of Waterford, which will see the benefits of the settlement in terms of increased consumer spending and confidence. “Now, however, the task facing the trade union movement as a whole is to campaign for policy change which will ensure retirement income security for all workers”, Jimmy Kelly concluded. This entry was posted in Press Releases, Republic of Ireland news and tagged Jimmy Kelly, Unite ROI, waterford crystal. Bookmark the permalink.